With 2016 in the rear-view window, it’s time to take a look at stories in the automotive, financial services, travel and pets categories that were the most read last year. 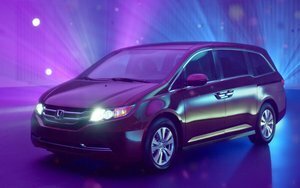 Many of the top stories focused on new campaigns such as the best-read automotive story of 2016, “Honda's Summer Clearance Is Music-Themed.” The creative effort encompassed a variety of vehicles in the Honda lineup, including the Honda Accord, Civic, CR-V, Fit and Odyssey. The TV spots were styled to come off like music videos. Dubbed "Now Is the Moment," the integrated campaign from RPA also included print, radio and dealership materials. A story about a campaign extension of Farmers Insurance “We Know From Experience” was the top-read financial services spot of 2016. You can’t go wrong with babies and animals, and Farmers proved that to be true with “Farmers Insurance Introduces 'Dog Diving." The spot revolves around a Feb. 3, 2013, insurance claim in which some troublemaking dogs turned on the kitchen sink and flooded a home while their owners were away. A TV spot, “Mer-Mutts,” portrays the house-flooding pups enjoying their new indoor pool with an orchestrated synchronized swimming routine that would make Esther Williams proud. My top third-read story of the year was written only a week ago. “Brands Will Be Less 'Branded' In 2017” focused on predictions by WPP brand agency Brand Union on the direction advertising will take in the new year. Brands will strive to appear “meticulously undesigned.” It’s no longer enough to be human. It’s increasingly necessary for brands to appear flawed, unpredictable, naïve, even strange. Partnerships are always interesting to read, which is why “Enterprise Rent-A-Car Partners With Live Nation” came in at number four. The multi-year partnership resulted in the rental vehicle company rolling out exclusive video content, curated by Live Nation, featuring popular artists and bands. As part of each video, musicians will share personal stories, such as road trip tips or their favorite scenic tour stops. The videos will be published on both Enterprise’s and Live Nation’s owned digital properties. Celebrities in ads are almost as good as babies and animals. “Ford Escape Integrates With NBC Shows” focused on a deal to integrate the 2017 Ford Escape into two prime-time shows, “The Blacklist” and “Blindspot.” “The Blacklist” actress Mozhan Marnò, who plays FBI agent Samar Navabi, interacts with new Ford Escape in TV spots, continuing a three-year relationship between the automaker and the TV show. Spots during “Blindspot” feature actress Ashley Johnson in character as FBI agent Patterson analyzing a new Escape as if it were a crime scene. My number six story focused on a brand returning to advertising after a long hiatus. “Deloitte Asks Consumers To 'Look Again'" detailed the financial services company’s first TV advertising in 15 years. The simple premise was Deloitte asking business leaders and consumers to take another look at the brand. It was inevitable that at least one of my top 10 stories would focus on Millennials. And two of them did. Coming in number seven was “Millennials Reshaping Pet Industry Future,” while number nine was a more broadly focused “Millennials Continue To Challenge Marketers." In the number eight position in between those two stories was another late-in-the-year story: “Dodge Challenger GT Flexes All-Wheel-Drive Muscle” which detailed a Fiat Chrysler Automobiles campaign from Doner that included a Twitter takeover and a TV spot set in Alaska. Last, but not least, was the 10th best-read story on my beats, “Carnival Cruise Line Launches 360-Degree Video Campaign” from Arnold Worldwide, which showcased another creative campaign -- a custom-built 360-degree interactive video player on the cruise line’s content hub. Here’s hoping that all of the above brands and more will continue to produce memorable marketing in 2017.